At Epstein & White our sole focus is YOU. There are dozens of questions to ask when interviewing the person you will entrust to manage and safeguard your hard earned dollars. One of the first questions you should be asking any professional is whether they are a Registered Investment Advisor held to the fiduciary standard of care, or a broker held only to suitability standards. A fiduciary advisor is required to always place the interest of a client above his or her own, and is therefore legally held to a much higher standard of care regarding a client's wants needs and goals. When acting in a fiduciary capacity, an advisor is also required to provide advice based off of a thorough and complete analysis of a client's entire financial picture in order to be sure any advice given is as accurate as possible. A fiduciary advisor represents the client only and not the motives and profitability of a company, and is therefore also required to give full disclosure and transparency of any potential conflicts of interests that exist. A broker held only to a suitability standard is NOT required to place the needs of a client above his own, but rather only has to reasonably believe that any recommendations made are suitable for the client in terms of financial needs and objectives. This brings up an obvious issue of loyalty in that the broker's duty is first to the broker-dealer they work for, rather than to the client. Also, the need to disclose conflicts of interest is not as strict for a broker. Common examples can include proprietary products created by the company that are more profitable when sold, ending up as recommendations for the client. Another example includes incentives and profit sharing arrangements from mutual fund companies that are received under the promise that the broker-dealer will recommend that company's funds to the client. Every day financial products are sold for a commission. Once that broker has made their commission, their compensation is no longer tied to whether your account goes up or down. A fiduciary advisor's has a flat percentage fee of assets, so their compensation is tied directly to how well your account does. Essentially, a broker gets compensation only when selling more products, where a fiduciary advisors compensation goes up only when your account does. 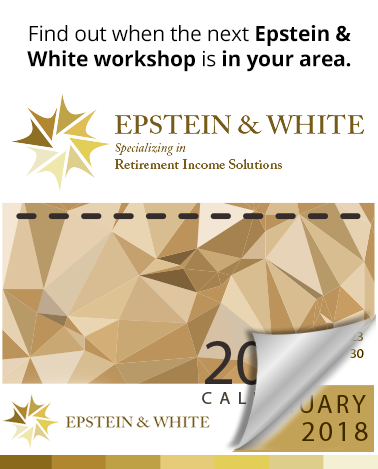 At Epstein & White let us show you how to avoid upfront commissions, hidden fees and murky costs, and align yourself with a fiduciary advisor held to a higher standard of care.